Alëna A. Balasanova, M.D., director of addictions education at the University of Nebraska Medical Center, will discuss opioids and addiction at the next Omaha Science Café at 7 p.m. on Nov. 14 at the Slowdown, 729 N. 14th St.
Dr. Balasanova is a board-certified psychiatrist with clinical expertise in integrated treatment for co-occurring psychiatric and substance use disorders. 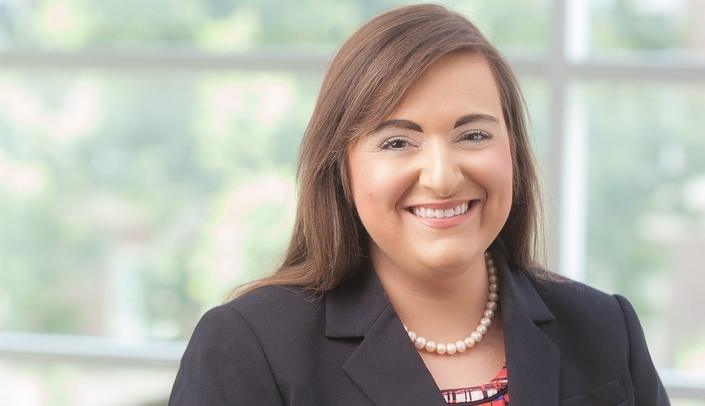 After obtaining her undergraduate degree from The Johns Hopkins University, Dr. Balasanova went on to earn her medical degree at Harvard Medical School and completed residency training at Boston University Medical Center before joining UNMC in 2016. She developed addiction services, a new specialty clinical service line with Nebraska Medicine, in which she directs the outpatient clinic for co-occurring psychiatric and substance use disorder treatment. As the director of addictions education in the UNMC Department of Psychiatry, Dr. Balasanova is actively involved with educational and clinical program development for incorporating addictions curricula into health professions education and integrating addictions services across the continuum of care. Clinically, she also maintains an outpatient practice in addiction services at the Nebraska Medicine Psychiatry Clinic. Dr. Balasanova is a member of the American Academy of Addiction Psychiatry and the American Psychiatric Association, as well as being a Metro Omaha Medical Society delegate to the Nebraska Medical Association and a Young Physician Representative to the American Medical Association.